The Premium Precisa 320 XT high performance series combines precision and quality, and offers the highest metrological performance and advanced integrated features. 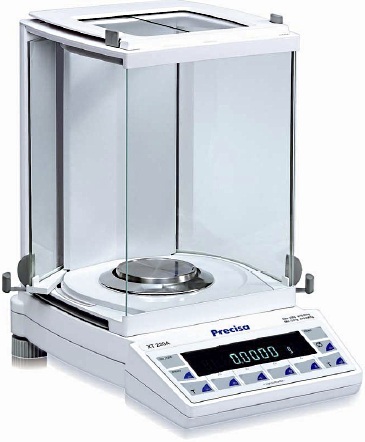 The bright vacuum fluorescent display, generously sized draft shield, plus the variety of integrated weighing programs, combine to make the 320 XT series a high performance versatile precision balance. The whole design, from the standard fittings through the options to the accessories, is geared to the most frequent needs of daily practice. Routine operations are rationalized. 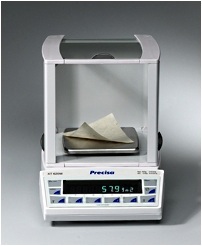 The balance pan dimensions are generous and the fluorescent display is high-contrast. The breadth of programs covers all the most important weighing ranges. 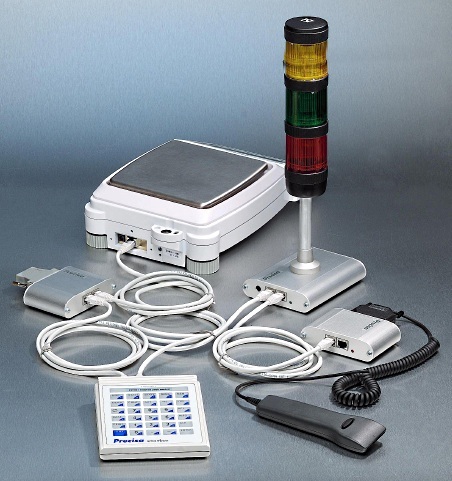 Easy-to-read displays provide trouble-free guidance throughout all operations. The 10-key keyboard is arranged to organize and structure the many options in such a way that they are easier and more error-free to use than balances with fewer keys, even after a shorter training period. The fully automatic, programmable time and temperature controlled calibration system insures superb accuracy. Adjustable environmental settings provide outstanding performance in difficult production environments or unstable laboratory conditions. The draft shield supplied with the analytical models is a completely new design. The interlinked two-way door operation allows an operator to open the top or work either side with either hand. With the draft guard open the access is excellent because the track-guided sliding doors overlap into a recess at the back. The SmartBox opens new possibilities for uses: determining parts counting, checking finished packages in the production process for weight tolerances in accordance with FPVO (Finished Packaging Regulation), preventing under or over-filling, dosing, pre-defining filling capacities, are just some of the applications. A wide variety of other options and accessories, such as IP65 dust and water spray protection, barcode scanners, data interfaces, external remote displays, adaptors for specialized use and an internal rechargeable battery pack, are available. 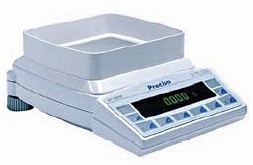 There are many models to choose from in the Premium Series 320XT of Analytical and Precision Balances, with varying weighing ranges and readabilities. Dual Range (DR) models initially measure in a small, more precise range, and the balance will automatically switch into a bigger range when the small range is exceeded. Floating Range (FR) models have a 10-fold more precise fine range that can be moved throughout the entire weight range.